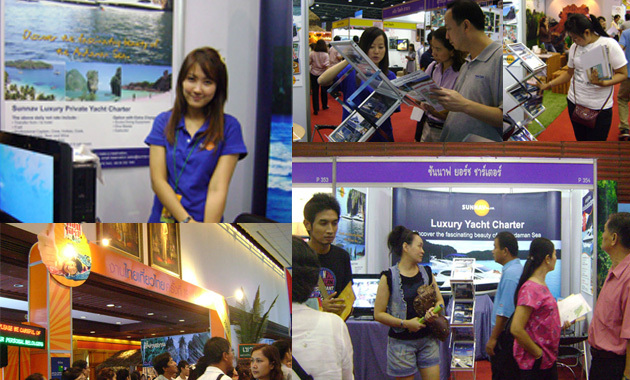 Sunnav attended Thailand biggest travel exhibition, The Discovery Thailand #19 and Discovery World 2010, at Queen Sirikit National Convention Center. Introducing SUNNAV YACHT CHARTER service and great package to discover and fascinate beautiful surrounding over the Andaman Sea. With luxury convenience areas, facilities, and superb foods drinks support you having in good lifestyle activities, such as swimming / fishing / snorkeling and so on. It�s the most appropriate answer to take holiday, family and friend travel or company trip and go together with us to experience it today!